Many people wonder if there is a God, if he or she or it does actually exist, and if God does exist how he or she or it can actually be known? These are great questions. There are two ways of relating to these questions - the first way is through your beliefs about God and the second way is through knowing God - which is totally different from believing in him/her/it. 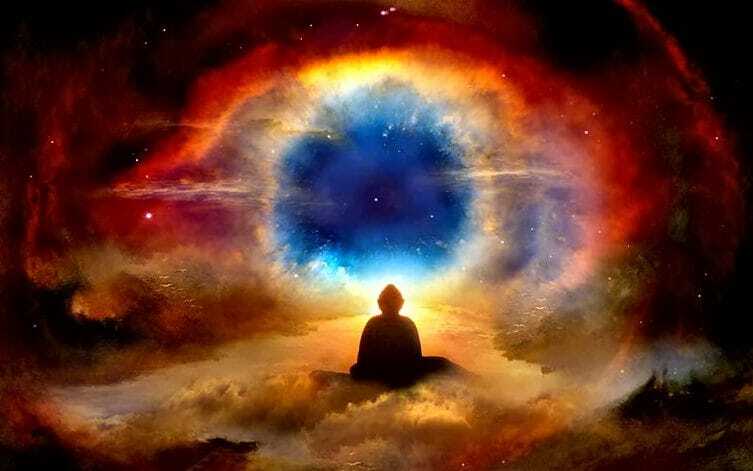 Believing in God is a mental construct or theory about God, and these hypotheses about God by their very nature actually take us further away from knowing. This is because such hypotheses are formed in the mind and God can never be experienced through the mind. God can only be known through the heart. The heart enters into the affairs of the world through an empathic relationship, where all sense of me and mine dissolve and we are left with only us and ours. In such a consciousness it is impossible to intentionally hurt another for the other is experienced as oneself, and life is experienced as one continuous effortless flow, where all our own needs and the needs of our wider family are met in the most amazing and miraculous ways. A person with such an empathic consciousness is in love in an impersonal way. Before enlightenment, love always had an object and that object became the subject of our affections. But in the enlightened state we love in an impersonal way. Love has no object - rather we have become the state of love itself. In this state, in a very real sense, we are in love with the whole universe. Our love is limitless. That’s because we are love, at one with God! While in this exalted state of love we are continually inspired. OK, we may sleep or rest on occasion, but when we wish we can tune in and switch on our Divine connection. In this Divine state of consciousness there are no unsolvable problems or persistent states of lack, because our very connectedness to the Source of All Things provides whatever we need, when we need it, in the place we need it. And it is that connectedness, which can be switched on at will, that creates the state of continuous and abundant flow. We become the vortex of an inflow and outflow of resources - a proverbial font of abundance and inspiration, that positively uplifts the lives of all who come within our orbit. How could we not know God in this exalted and joy-filled state. 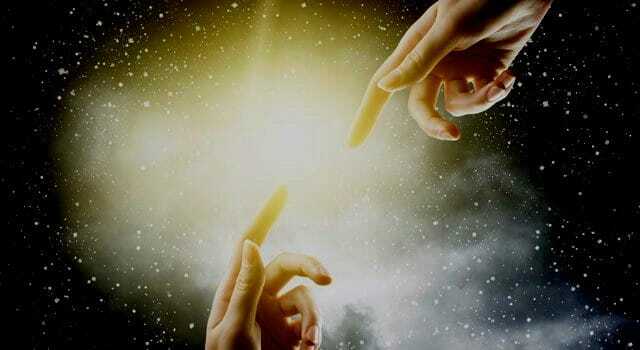 We are drawing on his/her/its Divine power to assist us in manifesting our dream for planet Earth in every moment. 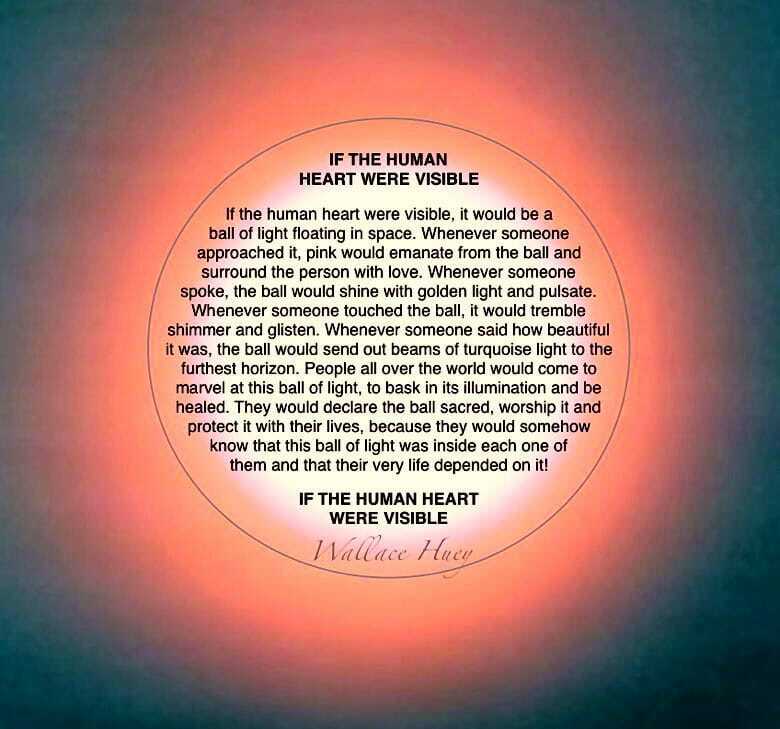 Of course this immense power is invisible - but what if the Human Heart were visible? What would it look like? 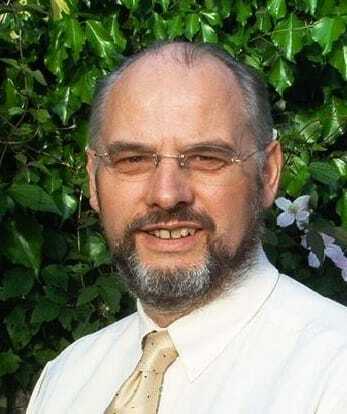 Wallace Huey, Director of Training and CEO Trans4mind Ltd.